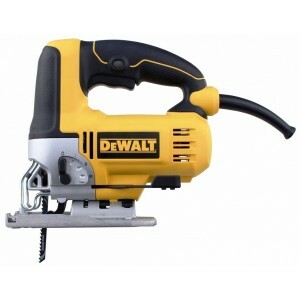 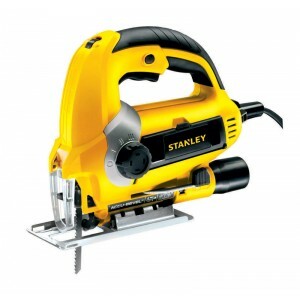 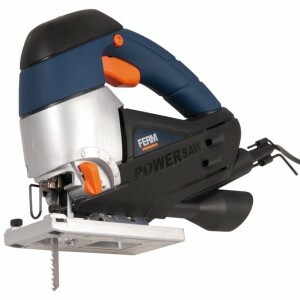 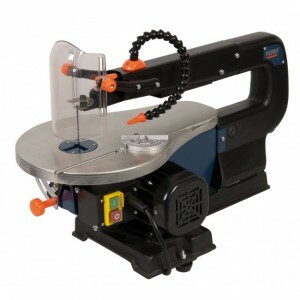 Description of Stanley STSJ0600K Jigsaw:600W motor delivers power in demanding applicationsVariable speed dial provides multiple speed settings for optimal cutting results4 Pendulum settings provides best cutting performance in a variety of materials..
Black Decker KS600E 60mm Jigsaw: Applications: General wood cutting, included 45° bevelled cuts and fast rip-cutting Light sheet metal & metal pipes etc Light decorative hobby and DIY tasks Features: Bev..
Bosch GST 65 E Professional jigsaw Features : Top-class convenience in the entry level class Streamlined, round handle with dimples for fatigue-free cutting Two-way lock-on button for left and right handed users Sturdy trumpet ..
Bosch GST8000 E 710w SDS Professional Jigsaw is used for cutting of wood, Plastic, Laminates & ceramics suitable for professionals and industrial use Features : Free view of saw blade and cutting line Sawdust blower can be s..
Bosch GST 85 PBE 580w SDS Professional Jigsaw Applications :Also for cutting of wood, Plastic, Laminates & ceramics suitable for professionals and tradesmen Features : Free view of saw blade and cutting lineSawdust blower can be ..
Dewalt DW349 Pendulum Jigsaw Compact, ergonomic, design gives user comfort and versatility in use 500 Watt motor gives performance and durability Keyed blade change for durability &..
Dremel 6800-2/8 Trio 3in1 Spiral System - Cut, Sand, Rout The new Dremel TRIO is the ultimate tool for everyone involved in general handson projects in and around the house. 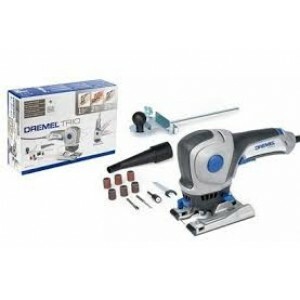 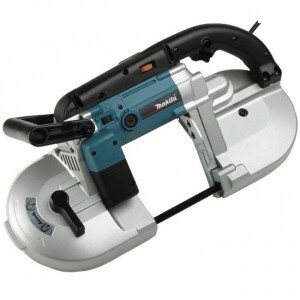 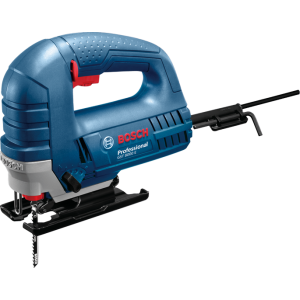 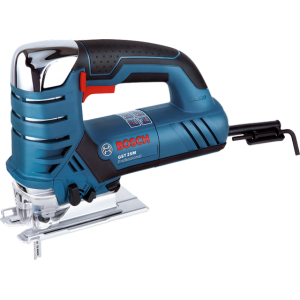 The Dremel TRIO has a 3 in 1 Spiral System which enables..
Makita JigsawModel no: M4301BSpecifications:Size: 65mmPower: 450wSpeed: 0 - 3100 m/min Stroke length: 18mmCutting capcity: 65mm on wood, 6mm on steel, 10mm on aluminium.Cable length: 2.0mtrWeight:&..
Ferm SSM1005 Scroll Saw Features : Quick release function for easy saw blade exchange Mitre / parallel guide for precise working Working table adjustable from 0 - 45 degrees Dust blowing system for a clean working..
Hitachi CJ90VST 90mm 705W Jigsaw This powerful jig saw, which weighs just 2.2 kg, features a soft-grip handle to enhance customer comfort and control and comes with a sturdy plastic carry case. 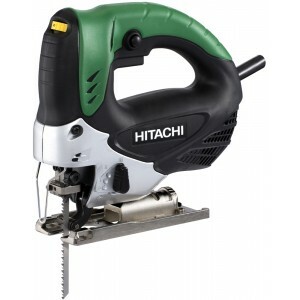 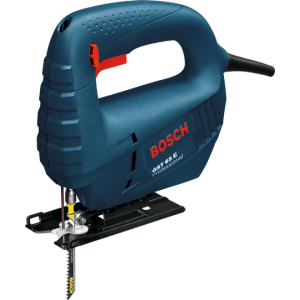 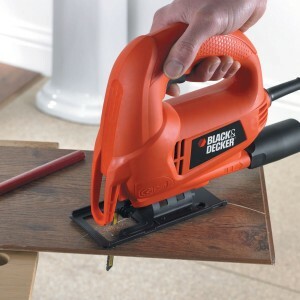 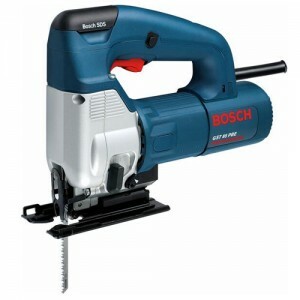 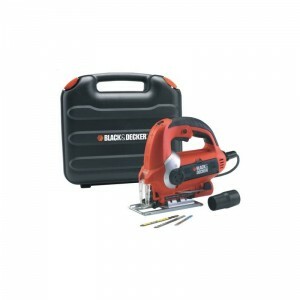 The Hitachi CJ90VST is a 705 Watt..
Black Decker KS900EKX Jigsaw : Description of KS900EKX :Black & Decker 600w vari speed pendulum jigsaw with the sightline channel and integrated dust blower allows you to follow the cut line accurately whilst the tool free blade clamp .. 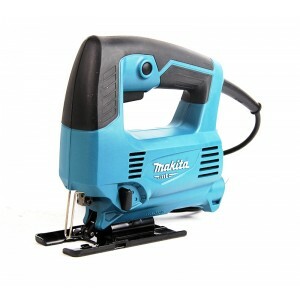 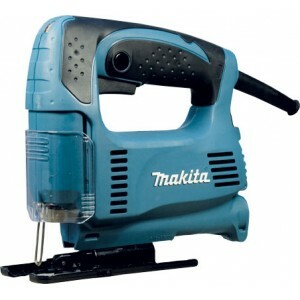 Features:Ergonomic design with soft grip for optimal working comfort .Variable mitre cut adjustment to 45 degrees for precision work .4 Stage pendulum adjustment for increased sawing performance .Equipped with connection for dust extraction ,Extra lo..
Makita 2107F Portable Band Saw is powerful 2-speed portable band saw delivers 140-260 ft./min suitable for cutting a wide variety of materials. 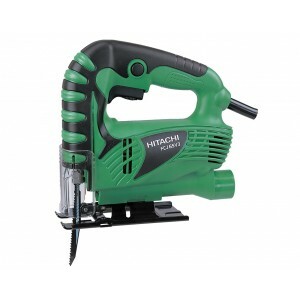 Blade tightening lever for fast and easy blade installation with dual ball bearing guides for preci..
Bosch GST 25 M Professional Metal Cutting Jigsaw Purpose designed for the requirements of metalworking: its stroke height is only 24 mm minimizing vibrationPowerful 670 W motor effortlessly achieves cutting depths of up to 25 m..
Hitachi FCJ65V3 400w 65mm JigSaw Special Features : Two-ball-bearing armature design for longer service life and high efficiency motor power transmission Nonskid large soft grip Large-trigger switch for..
Makita 4327 JigSawHigh power and Lightweight.Ergonomically designed handle with rubberized soft grip provides more control and comfort.Thick blade can also be used.Dust Cover prevents scattering of tips.Bevel cut 0 to 45 degrees left or right.Qui..